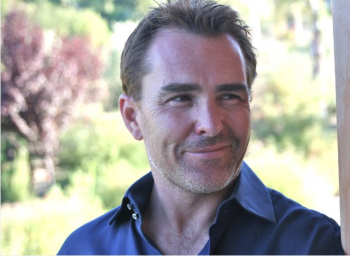 Nolan North (and his golden voice) isn't exactly a professional critic, but he's seen the PS4 and he's impressed. Being one of the most prolific voice actors in the industry, Nolan North tends to get sneak peeks at all the cool toys. Naturally that means he's seen Sony's PlayStation 4 in action, and from the sound of things, he likes what he sees. North recently mentioned his thoughts on the PS4 and how it will impact the games of the next generation, and it sounds like he expects the console to be a pretty big deal. "I've seen some of the prototypes of the PS4," North says. "It's an amazing machine. I think it's going to step up the game for every game... whether it's Uncharted, God of War, Call of Duty, all these games are going to benefit from just the technology that they're putting out." It should be noted that even though North has acted in all of those series, there's no official word on PS4 entries to the Uncharted or God of War sagas... yet. "I've seen some stuff, gameplay ... I don't remember what game it was, but they were doing some testing on the PS4 and I couldn't believe it was gameplay," North continues. "It's extraordinary technology." Nolan North is credited for well over a hundred video games from the past generation, and it's safe to assume you'll hear his pipes in more than a few in the next gen as well.